From 24 July 2018, Full Issue PDFs are now included FREE with every Digital subscription. Here's how to locate them. For non-subscribers, here's how to buy the Full Issue PDF (or single article PDFs). 1. 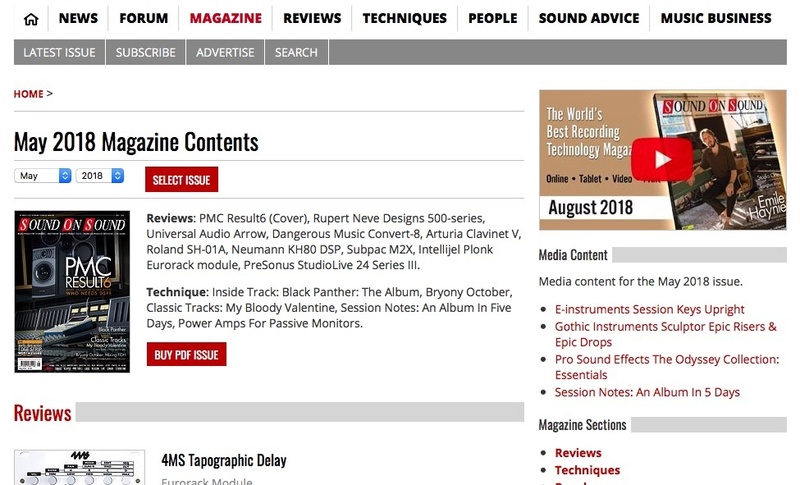 Click MAGAZINE on the main menu. This always opens the newest issue's contents list. 2. Choose Month/Year from the selector and click the red SELECT ISSUE button. That issue's contents are then listed. 3. Click the red BUY PDF ISSUE button, which takes you to the storeshop screen shown below. Click ADD TO CART to put that item in your basket. 4. Click ADD TO CART to put that item into your cartbasket. Return to step 1 if you wish to buy more PDF Issues, if not please proceed through checkout to pay. 5. Alternatively, Full Issue PDFs can be bought from within our storeshop's Magazine department. If a Full Issue PDF exists for that current/past edition, you will have the option to choose the product type (PDF or Print, see below) and the price will auto-update to reflect your choice. Note: shipping will be added to print magazines but not to downloadable PDFs. Continue through checkout to pay. 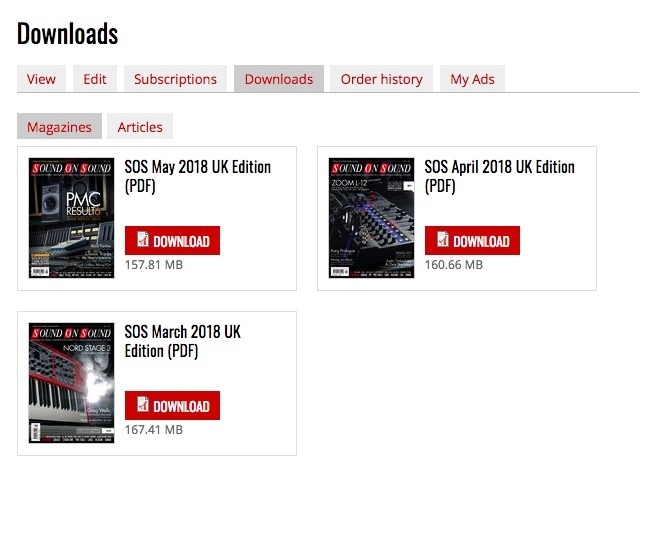 After purchasing your Full Issue PDFs (or single article PDFs) , these are always available to download as many times as you require. They are compiled in your MY ACCOUNT when logged in to the SOS site. 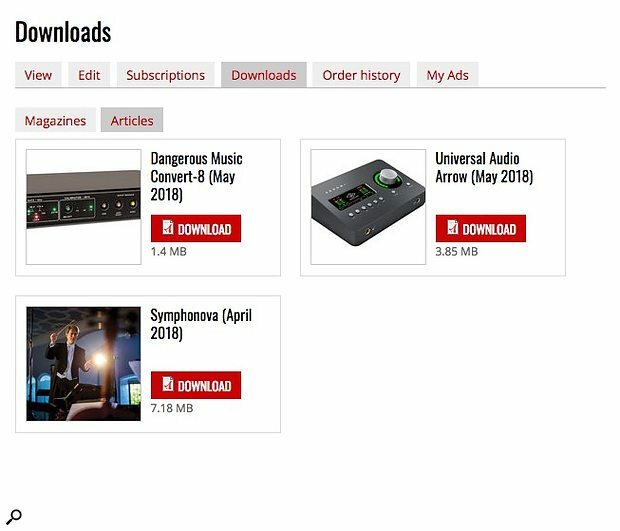 Click the Downloads tab and click the Magazines and/or Articles links. As you purchase more PDFs, your library will grow but will always be found here. As you browse our site you can view the web articles we publish. If you wish to have a PDF 'hard copy' download of an individual article (as printed in our magazine), click the BUY PDF VERSION red button at the very end of that article to take you to our storeshop. After purchase, your PDF file is added to your MY ACCOUNT > Downloads > Articles library. What's the difference? 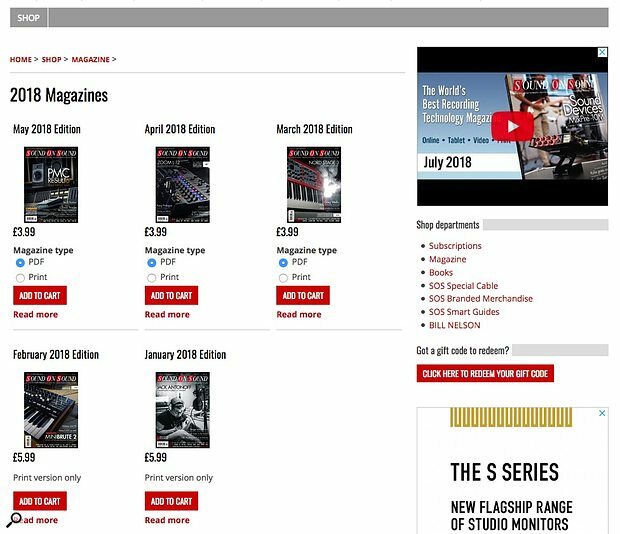 The Full Issue PDF is a complete replica of the UKUS print magazine and includes all articles and adverts published in that edition. Single Article PDFs are not available for every article, and do not include adverts. Single article PDFs are not provided free of charge as part of any Subscription and should be purchased separately, if required.